Tara’s broad knowledge of fashion plus her love of assembling pieces together to create a wardrobe can help any woman create their own look. My Wardrobe Style was founded by Tara Roseme. 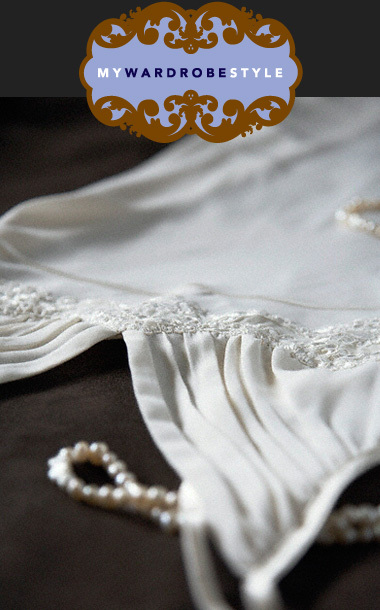 For nearly a decade Tara has developed her passions in the Fashion, Cosmetics and Jewelry industries. With a fashion merchandising/textiles degree from the University of Maryland she began her career in corporate retail with the Ann Taylor Companies. Through managing sales associates and clients in the art and function of dressing for the corporate and real world she developed a sense of style and the ability to create wardrobes and accessorize women with all different backgrounds. Tara began her fashion career in Washington D.C. and subsequently moved to New York City to expand and develop her knowledge of fashion. In New York, Tara transitioned into the world of showroom sales and merchandising with Guess Jeans, Inc.
After several years of learning the ropes within the showroom sales side she took a unique opportunity with the critically acclaimed fashion designer Isaac Mizrahi. It was in this design house that Tara truly realized her passion and talent in working with fabrics, textures and different elements of design. From this extensive foundation, Tara’s talents flourished and were further developed in positions she held with major cosmetic companies such as the Lancaster Group and Estee Lauder and in the jewelry industry with DeBeers and the Platinum Guild International. 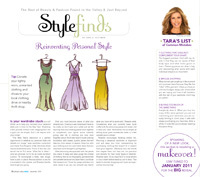 Tara’s broad knowledge of the fashion, cosmetics and jewelry industries, combined with her love of organizing, creating and pulling pieces together to create a wardrobe, can make any woman create their own unique look.